1.1 Where Should I Store My Precious Metals? 1.1.5 So Which Storage Option Do We Recommend? 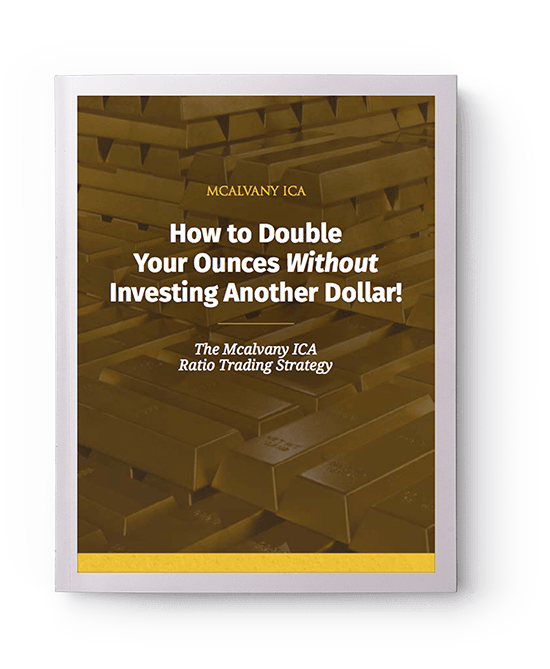 1.1.6 How does McAlvany ICA advise storing precious metals? 1.3 How Do You Choose A Precious Metals Advisor? Whether you’re a seasoned precious metals investor or just getting started, storage of your gold, silver, platinum, palladium and other precious metals is a critical consideration. You’ll want your valuable assets to be safe from theft, natural disaster, or other calamity. Given the great need for safety, the options are few. They include home storage, vaults or safes, a bank or an exclusive precious metals depository. Home storage comes with both advantages and risks. On one hand, you remain in total control of your metals. You can hide them in a home safe, book, or closet and know where they are at all times. You have the ability to easily sell or trade your precious metals, and to transport them you need only grab them and go. Home storage also saves storage fees and is economical, particularly if your investment is small. On the other hand, despite its ease and convenience, home storage is the least safe of all storage methods. Your metals are more susceptible to intruders and natural disasters. Even if you have a safe, you can be coerced to open it by a thief who threatens someone or something precious to you. Still, if you want to store your metals at home, you should purchase a safe. They will keep out all but the most determined and skillful thieves, and the better safes are resistant to fire, flood or other household damage. As an added bonus, many home insurance policies will give you a discount on your premium if you cite possession of a safe that protects your valuables. Bank storage is another option for storing your precious metals. Bank safe deposit boxes and vaults offer enhanced security from burglary compared to storage at home. They’re local, relatively convenient, and fairly inexpensive. However, this method also has drawbacks. Bank storage entails fees and inaccessibility when the bank is closed on weekends or holidays. Worse, it means that in the event of a bank failure or nationalization you risk losing access to your gold for weeks or months, or possibly forever. Segregated Storage: Precious metals are separated from all other precious metals at the depository in a storage compartment reserved for your personal use. Customers who choose segregated storage will usually be charged higher rates. Non-segregated, or Allocated Storage: Items are held in a communal area, along with other clients’ bullion. If you don’t store your metals at home, you should consider whether to store them domestically or internationally. Switzerland – For over 300 years Switzerland has been a safe haven in times of crisis and has enjoyed a long history of neutrality. The country is a major banking center for corporations and world governments. Precious metals are stored outside of the banking system in the tax free zone. Canada – Canada has long been a friend and neighbor of the United States, sharing many commonalities that make storage and transference easy (including a common language, a common culture, and the same British rule of law). Additionally, Toronto and Ottawa are ideally situated less than three hours north of Buffalo, New York. So Which Storage Option Do We Recommend? The storage program that is right for you depends in part upon how and why you’re investing in precious metals, how often you need to access your holdings, and your long-term strategy, among other considerations. Your precious metals advisor can help you determine the best plan for your portfolio. McAlvany’s ICA has two vault storage programs: domestic and international. Over the years, we have maintained excellent relationships with the most reputable vault facilities in the United States, Switzerland and Canada. How does McAlvany ICA advise storing precious metals? As your precious metals portfolio grows, we recommend storing your metals in multiple locations, both internationally and domestic, for freedom—freedom from putting all your eggs in one basket. In 1933, during the Great Depression, President Roosevelt confiscated privately held gold in the US. He signed Executive Order 6102, which ordered anyone holding gold to turn it over to the government in exchange for $20 per ounce. This hostile move by the United States government to control currency as part of its monetary policy isn’t unique. Australia (1959) and Britain (1966) also outlawed anything more than a few coins, and required everything over that token amount to be turned over to the government. Not surprisingly, more repressive regimes such as Italy and Germany during WWII, Iraq, Cuba, and Russia also confiscated gold as official government policy. International storage diversifies governing authorities’ influence or control over your metals, and minimizes the risk of bank nationalization or gold confiscation. After you’re assigned a precious metals advisor from ICA, we’ll review your existing portfolio and advise you on the best way to build your portfolio to achieve your financial goals. Then we will map your current storage needs and select from one—or multiple—storage facilities. Finally, we’ll facilitate your precious metals purchase(s) and coordinate the delivery of your metals to the storage site(s) of your choice. Sign up for your complimentary portfolio review.